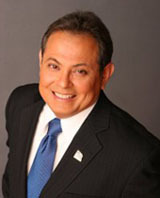 Our candidate, Roy Morales, achieved remarkable success in the Houston mayoral race. With a budget that was miniscule in comparison to his liberal opponents, Roy was able to procure a percentage of votes within few points from those who spent millions of dollars on their campaigns. Yesterday was a day of triumph and tragedy - triumph in the New Jersey and Virginia races - tragedy in the fact that only 19% of eligible Houston voters took the opportunity to cast their vote. What will it take for the people of Houston to wake up? If only a few more conservatives per precinct had voted for Roy, the results of this race would be entirely different. Conservatives across Houston should be very proud of Roy and his staff - and dedicate themselves to encourage their neighbors and friends to vote for conservative candidates the next time they have the opportunity to do so. 2010 is coming and will be one of the most pivotal elections in our lifetime. Wake up Houston! Thanks for this posting Richard and I concur fully. I can only stress that if the Harris County Republican Party and elected Republican officer holders had supported Col. Morales sooner rather than at the last minute, he may very well have won this race! Those former Republicans who supported an Obama Democrat Gene Locke, you know who you are, I am glad your days are numbered. March 2010 is only a few months away and I, for one, will not forget. Lauro, the HCRP supported Roy to the best of its ability. The HCRP provided a substantial amount of exposure to Roy's campaign in publication, emails, and phone calls. Many of us supported Roy privately prior to the endorsement by the executive committee, which, by the way, fully endorsed Roy during the only meeting that was held after the filing deadline in September. Support for Roy was not just given at the last minute. It would have been great to see our several Republican Hispanic groups fully support, endorse, and work for Roy's election as well. Now is the time to learn from this election - we absolutely have got to engage EVERY people group in Harris county if we are to elect conservative candidates in the future. No pointing of fingers - let's work together to promote conservative causes and candidates - for far too long we have seen individual groups more interested in promoting themselves and their agendas than for the good of the conservative movement as a whole. We will win elections when we decide that it is more important to win elections than it is to promote our little group, our little fiefdoms, our little territories. When we decide to work together and put aside petty differences and personality issues WE WILL WIN. None of this detracts from the outstanding work that Roy and his campaign have done - The questions are - what have we learned from this race? What should be our reaction to those who name the name of Republican but support opposition candidates? How can we better support our candidates in the future? How can we convince the many diverse conservative groups in Harris County to place their support and work effort behind conservative candidates? Many talk, many attend Tea Parties, but few are willing to actually help or even vote - the opposition is not afraid of talk, and are delighted when they see conservative groups point fingers at each other! As I often say, it is Deeds, not Words, that matter!"